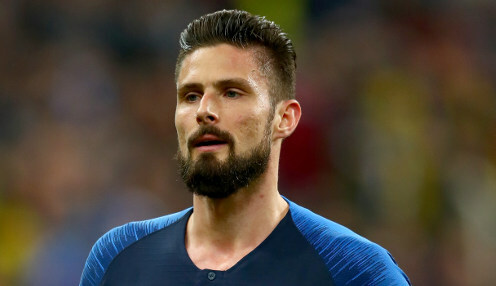 Chelsea striker Olivier Giroud has admitted that he may well have to consider his future at Stamford Bridge, as he is frustrated at a lack of starting opportunities. The 32-year-old France international has scored nine goals in nine appearances in the Europa League this season, but has been restricted to just six starts in the Premier League, with the January arrival of loanee Gonzalo Higuain hampered his chance of gaining further game-time. I know that I will only play in the Europa League. And Giroud says that that situation is starting to frustrate him, with the former Arsenal frontman having just 12 league starts to his name since his move from the Gunners in January 2018. He told RTL: "Of course it is frustrating. Today I have the impression that there is clearly no competition since January. "I know that I will only play in the Europa League. I try to do what it takes to be the most effective and the most important for the team. "My future may be hectic this summer. I am not afraid to go down a level to have more playing time and it could be that I end my career in France." Chelsea and Giroud have been drawn to face Slavia Prague in the quarter-finals of the Europa League, which currently offers the Blues a route back into the Champions League next season. In the league they currently stand in sixth place, three points behind fourth-placed Arsenal. The Blues are available at 10/11 to finish in the top four come the end of the season, while they are 6/4 to go all the way and win the Europa League.